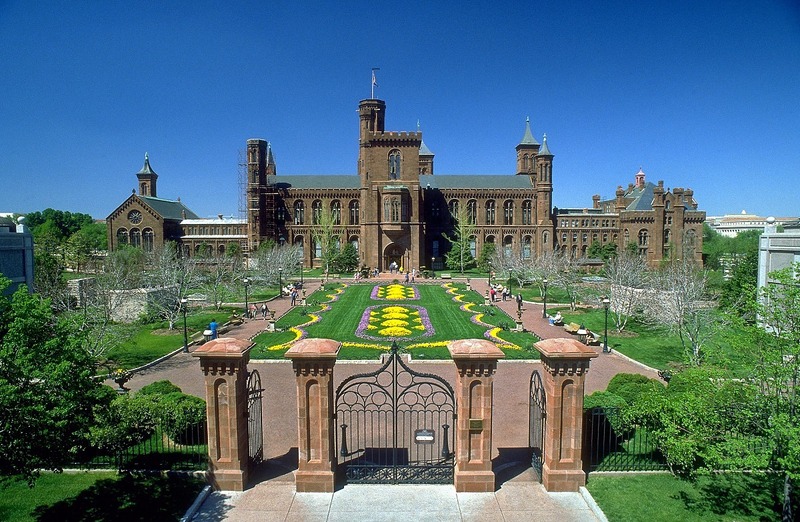 The Smithsonian Institution Building, popularly known as the "Castle," was designed by architect James Renwick, Jr. The building is constructed of red sandstone from Seneca Creek, Maryland, in the Norman style (a 12th-century combination of late Romanesque and early Gothic motifs). 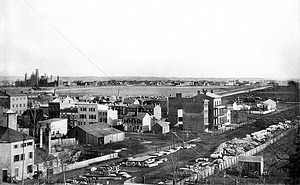 When it was completed in 1855, it sat on an isolated piece of land cut off from downtown Washington, DC, by a canal. 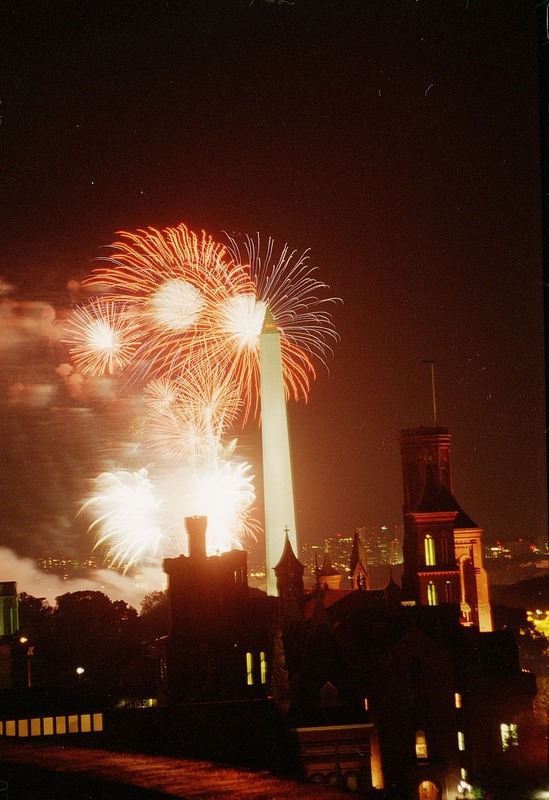 In the ensuing decades, the Castle became the anchor for the National Mall, as additional museums and government buildings were constructed around it. Over the years several reconstructions have taken place. The first followed a disastrous fire on January 24, 1865, which destroyed the upper story of the main segment and the north and south towers. In 1883, the east wing was fireproofed and enlarged to accommodate more offices. Remodeling from 1968 to 1969 restored the building to the Victorian atmosphere reminiscent of the era during which it was first inhabited. In 1977, the Castle was awarded Historic Landmark status. 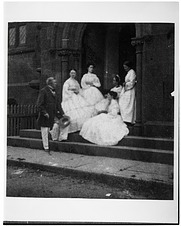 The Castle served as a home and office for the first Secretary of the Smithsonian Joseph Henry. 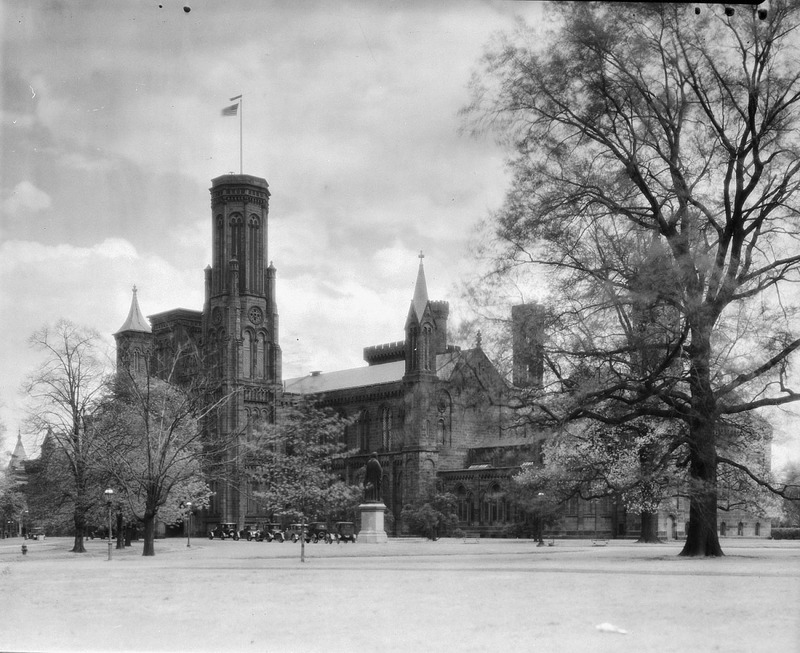 Until 1881, it also housed all aspects of Smithsonian operations, including research and administrative offices; lecture halls; exhibit halls; a library and reading room; chemical laboratories; storage areas for specimens; and living quarters for the Secretary, his family, and visiting scientists. In 1881, the US National Museum, now known as the Arts and Industries Building, opened adjacent to the Castle to house most of the museum collections. 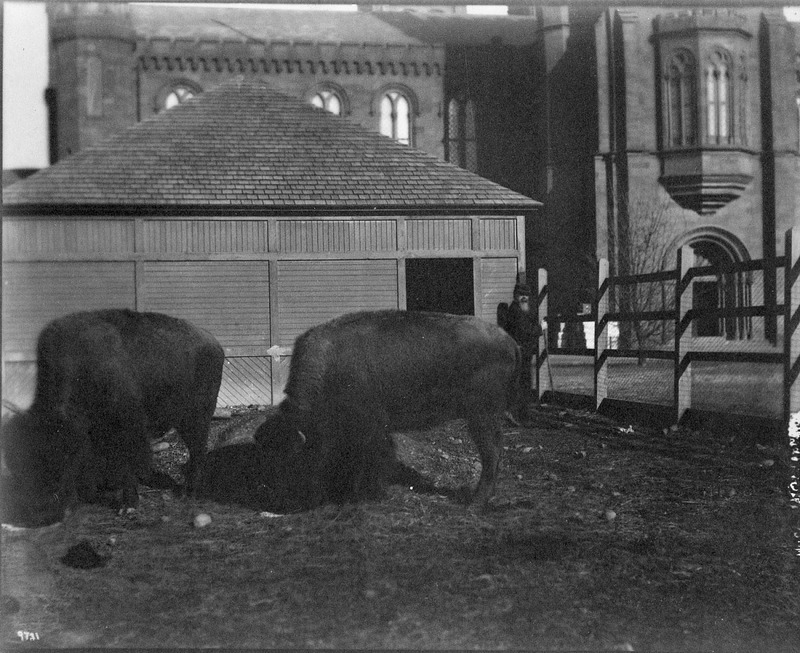 In the late 1880s, the South Yard behind the Castle was home to the fledgling National Zoological Park. 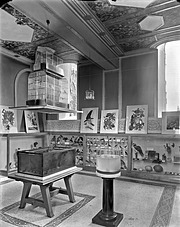 In 1901, Washington's first children's museum was installed in the Castle's South Tower Room, where the original decorated ceiling and wall stencils were restored in 1987. Over the years, the Castle has been home to the Smithsonian Institution Archives and the Woodrow Wilson International Center for Scholars. Today, the Castle houses the Institution's administrative offices and the Smithsonian Information Center. Located inside the north entrance is the crypt of James Smithson, benefactor of the Institution, while outside on the Mall, a bronze statue of Joseph Henry executed by William Wetmore Story, honors the eminent scientist who was the Institution's first Secretary. Stereoviews of the Smithsonian Institution Building: The Castle, Online Exhibit by Rick Stamm, Smithsonian Institution Architectural History and Historic Preservation.